Opportunities may come a dime a dozen in this world but only a select few are able to capitalize on them. The goal is to always stay ready because you never know when the phone will ring. 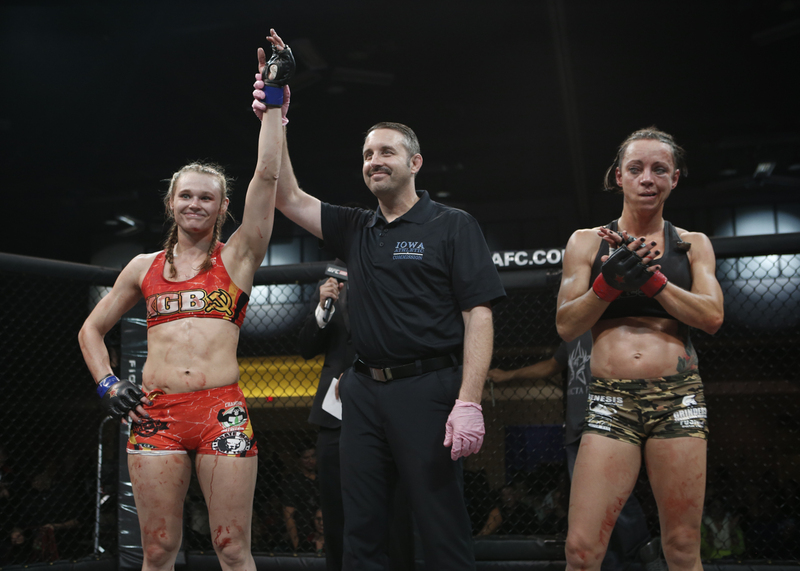 During my interview with Invicta FC flyweight contender Andrea “KGB” Lee we spoke of opportunities. Unknowing that in less than a few days later she would get a phone call that will put her one step closer to a goal of hers. That’s the 125 title for Invicta and a chance to be the face of the women’s flyweight division. Andrea has all the tools to do so in a very competitive class. During the time of the interview she had just won her bout with Shannon Sinn at Invicta FC 9. With 10 around the corner I asked if she will be in attendance to see the rest of the roster perform but little did we know Invicta had some plans of their own. Vanessa Porto having visa issues had to drop off the card and in steps KGB. This is huge for Invicta and Lee as she more than likely will get a shot at Barb Honchak for the title if she beats Roxanne Modafferi. It won’t be an easy task but we know this woman has all it takes to be a star. In the interview you will hear her announce a fight with for the Dream promotion which has now been scrapped due to her being placed on the Invicta FC 10 card. We would like to thank Andrea for her time and being very candid with us on this interview. Enjoy and make sure you tune into UFC Fight Pass on December 5th for Invicta FC 10.